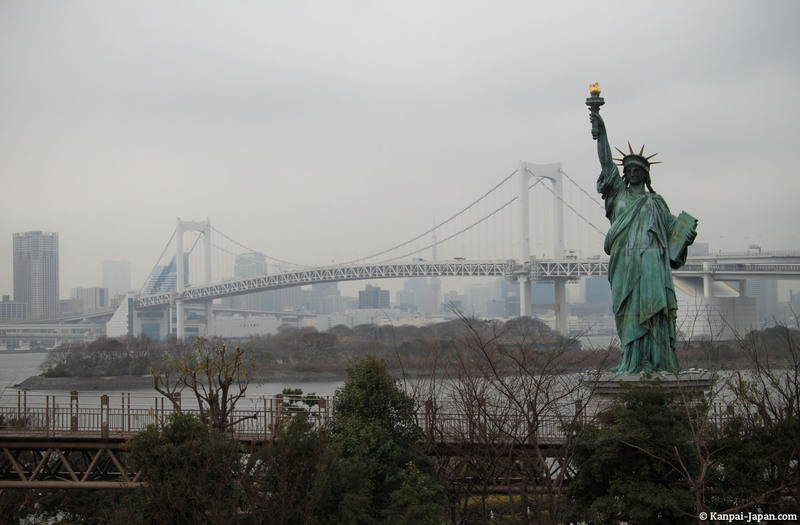 Odaiba is a frequent stop for travelers in Japan who spend a few days in Tokyo. 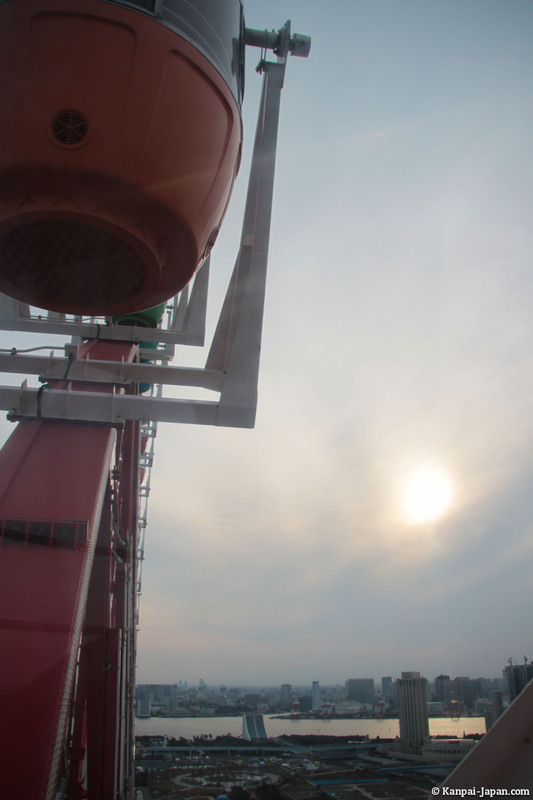 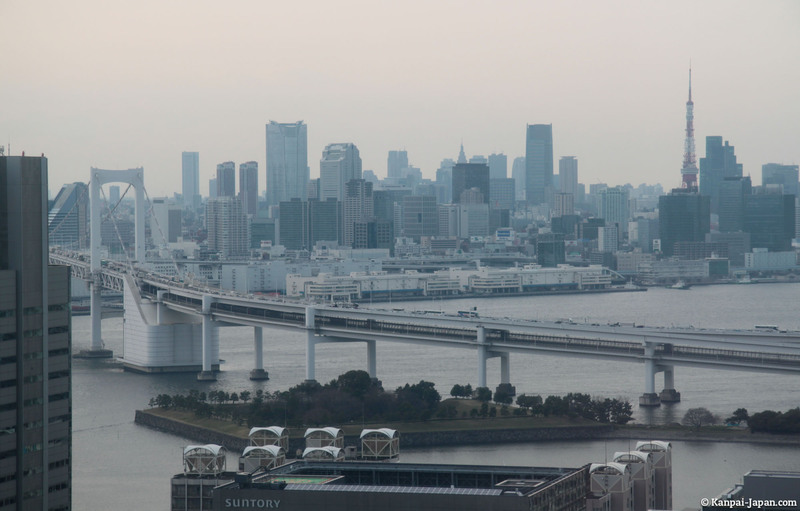 It's an artificial island located south of the capital towards Haneda Airport. 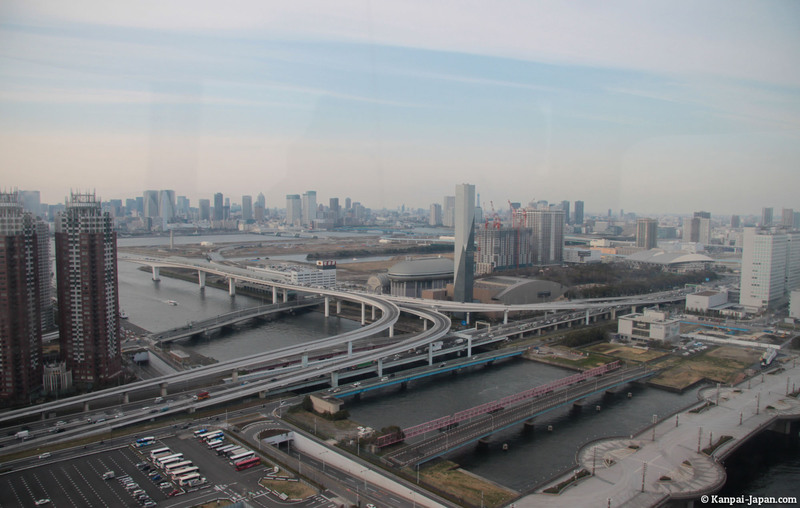 Its construction goes back to the 19th century, but its true economic development has been done in two phases, during the 1980's and the 90's. 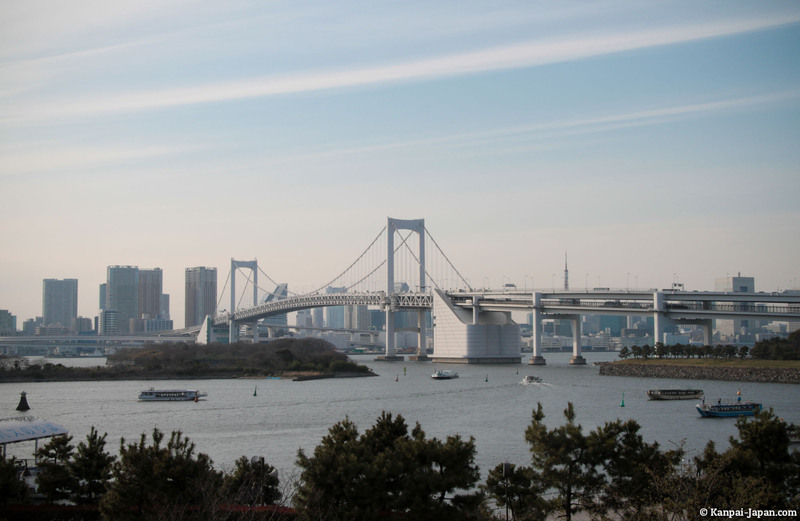 To get to Odaiba, the easiest way is to stop at Shinbashi subway station and take Yurikamome monorail Line that goes through Rainbow Bridge. 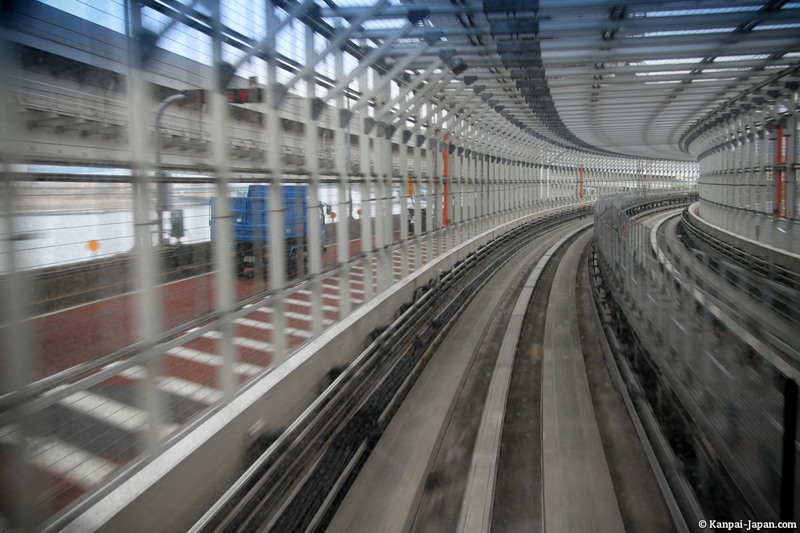 If you get to the front of the train (which has no driver), you can enjoy the view along the ride. 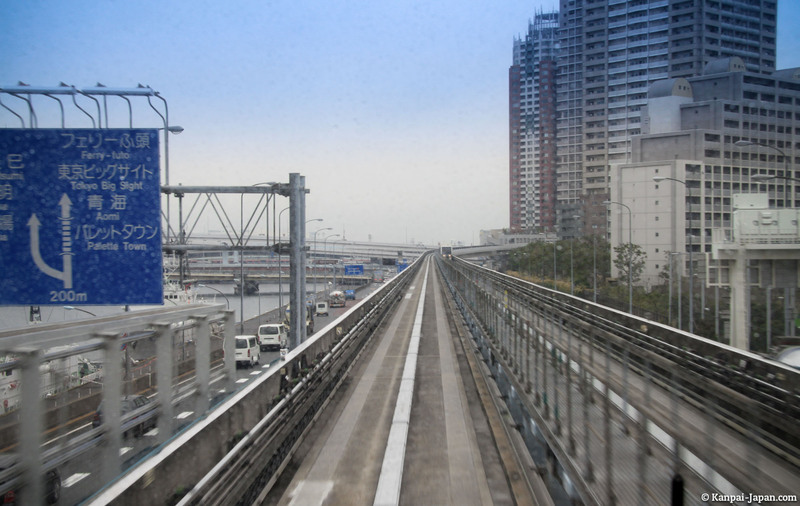 Warning: the Yurikamome trip is not compatible with the Japan Rail Pass. 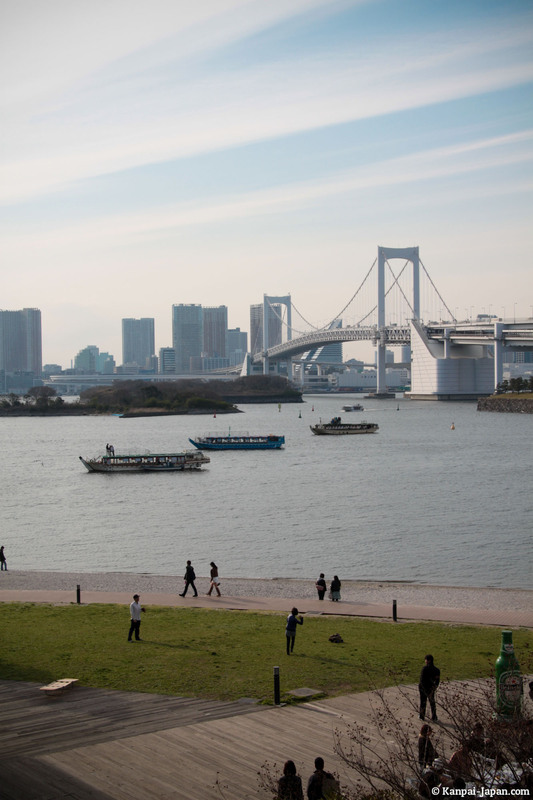 The large island of Odaiba is particularly crowded on weekends, especially on Sundays, for families who come with young children to seek entertainment. 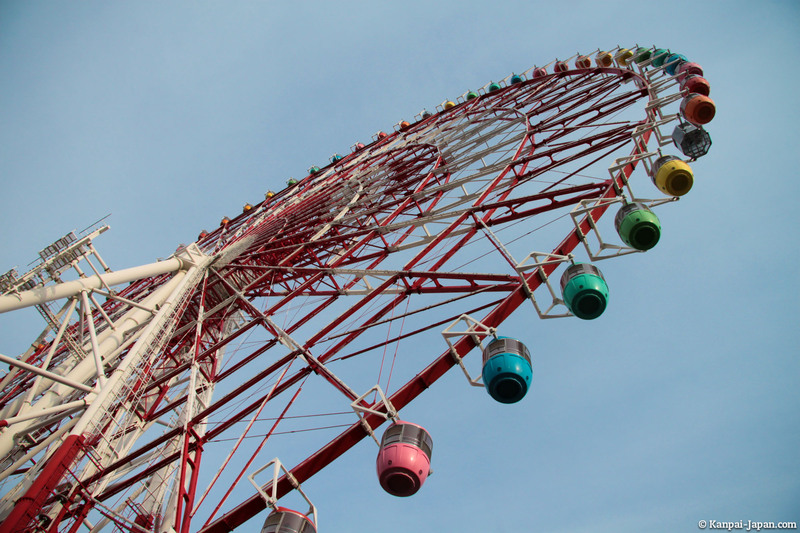 There's a big wheel, Lego-land amusement park, Aqua-city aquatic center, the huge Sega Joypolis arcade, or Toyota and Panasonic showrooms. 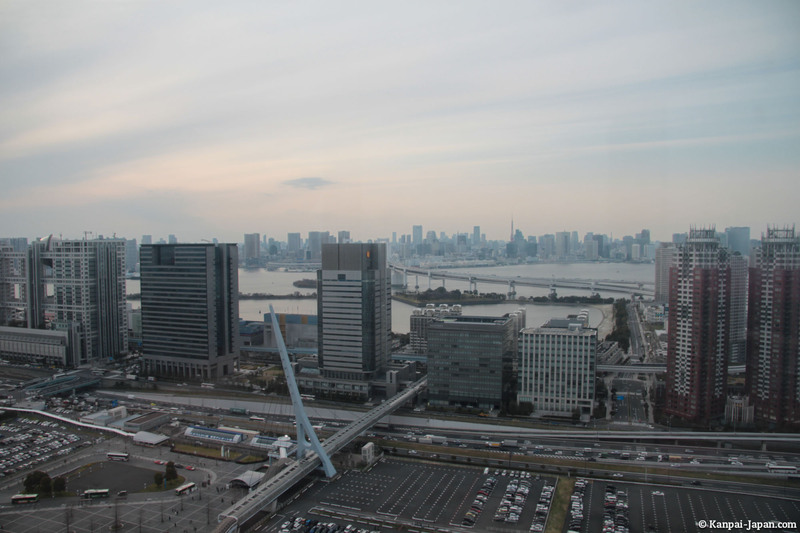 But you can also visit Tokyo harbor and Maritime science Museums, or spend time in the traditional O-Edo Onsen Monogatari hot springs. 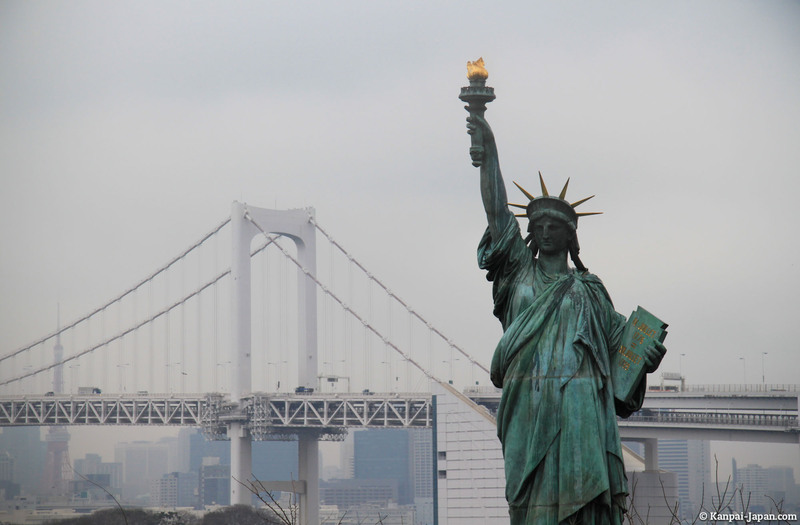 The walk outdoors is nice between the many shops of Odaiba and a small beach (but for swimming, prefer Enoshima) with its small representation of the Statue of Liberty. 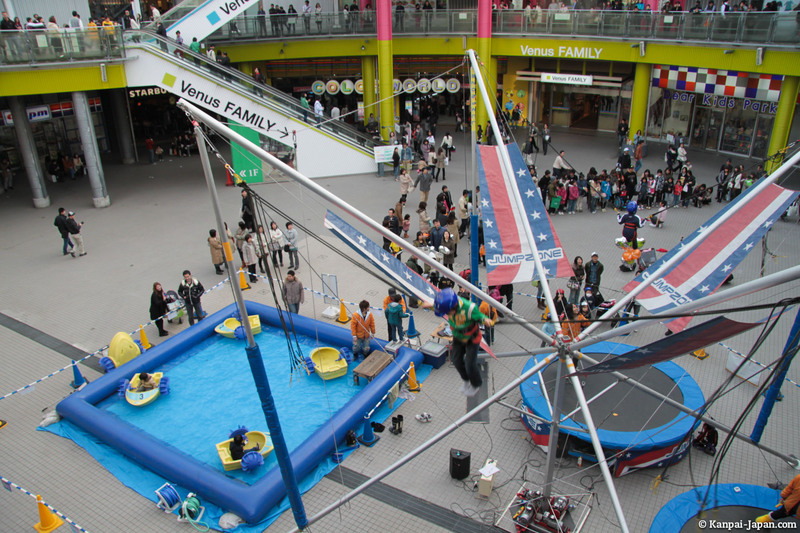 Since April 2011, there's also a giant Gundam robot, in front of DiverCity Tokyo Plaza. 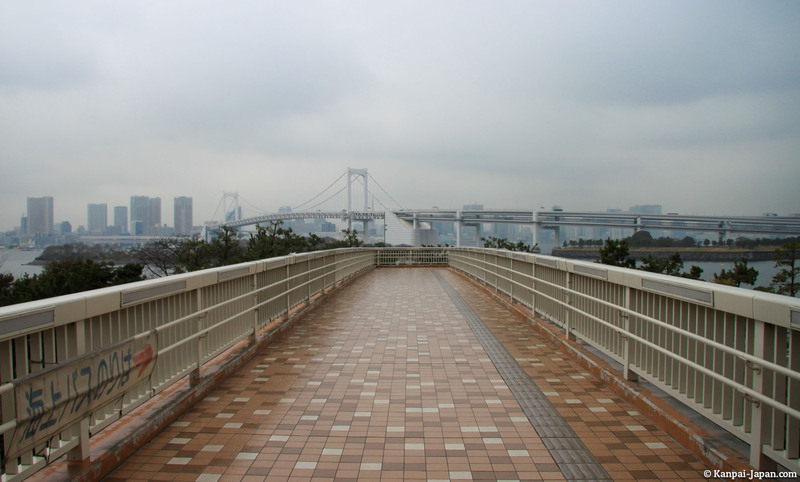 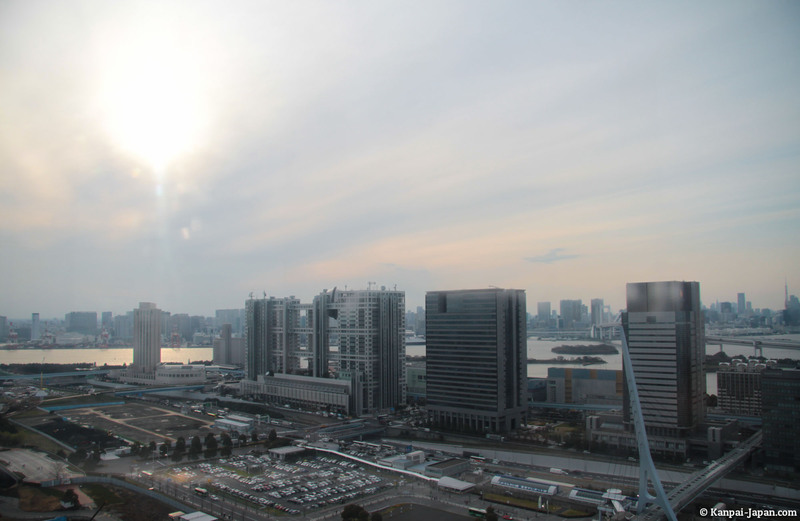 Further down this page, discover our visit guide in Odaiba and around.